Tonight I was in the midst of using one of my numerous 2 for 1 Blizzard coupons at my local favourite brazier. If you aren’t in on the Blizzard Fan Club get to stepping my friends. I’ve stretched the boundaries of goodwill and have exposed a loophole where you can sign up from multiple email addresses. So if a someone of my average intellect and large waist size can do it imagine what someone of even greater brain power and overall girth will do. When they get ahead of the greedy ice cream curve DQ is likely to shut the Blizzard Fan Club down. Finally I think the 16 year old maestro at the counter waved the Dodge Caravan away because of this needless delay. The normal drive-thru etiquette would call for the Dodge Caravan to simply pull ahead and wipe up any waste that may have come from their misfortune in their transaction, no? A timely departure from the pick up window is a must. This did not occur ce soir and this left yours truly befuddled to say the least. 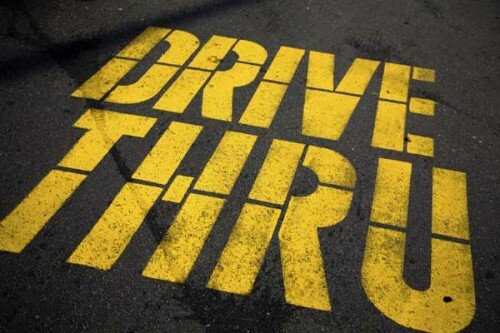 Has anyone else fallen victim to some shaddy drive-thru etiquette in the past?